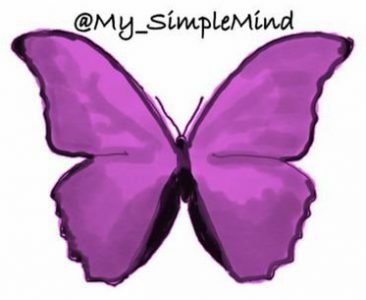 In July 2018, after having spent a few months trying to handle my recent mental health issues, I became more active on Twitter under ‘My Simple Mind’. I was tweeting things I thought about, my opinions, and sharing things relating to mental health issues as it was something that was very much on my mind. Never having been much of a Twitter fan, it came as a surprise to me when I suddenly, very quickly, began to build a following. This caused a bit of a buzz inside me. It made me feel validated having people like, retweet, and follow me. Not only that, but I suddenly understood just how powerful Social Media can be for spreading messages. I learnt that Tweeting wasn’t just about sending some message into the abyss – there were entire communities on Twitter, depending on your personality, interests etc. Discussing Mental Health issues, I had tapped into an entire Community that I never knew existed. Lots of people out there with all sorts of Mental Health issues – some were advocates, some were looking for other people with the same diagnosis to try and compare experiences. Many were Bloggers, which was another Community that was massive on Twitter! The amount of Bloggers out there… I had no idea! Always enjoying writing, blogging had been something I had always thought about, but with the advice and inspiration from the blogging community on Twitter, it pushed me to take the steps to set my blog up! Week by week, my Twitter followers grew and grew – sometimes I would ask for help to continue to grow, and my followers would share and ask people to follow me. And if someone else needed/wanted more followers, I would share and ask people to follow them. I had never seen such a positive side to Social Media since the beginnings of it. As my followers grew, my confidence grew, and with it, my Mental Health began to improve. What I also found was how much people in the Mental Health Community were doing to support each other. Quite often I had people DM me for support because they felt they had nowhere else to turn, nowhere that was free from judgement, nowhere that had someone who might have the slightest idea how they felt or what they were going through. What I started to notice was that I wasn’t the only person offering support to people. Others did too. Then I noticed that some of those people who had helped others needed support themselves in the end, because of course, they still had their own issues they were dealing with. A thought inside my mind began to grow. What happens when a person seeks support from another person, but that person is in crisis themselves? Does the person seeking support get turned down, or does the supporter take that on while they are dealing with their own crisis? What if that person had additional support? What if there was a team set up? What if there was a team called the ‘MH Crisis Angels’ so that no one ever had to carry the burden alone, and no one ever had to be turned down? Twitter is AMAZING. Before I became a mh advocate there I felt social media was dumb and I was done with it as it is damaging. The messages we spread, the people we help and become friends with are never strangers to me. They are family. And I am so glad to have met u on Twitter on become a crisis angel. I just started following Twitter in June. I couldn’t believe that I had found a place, where people shared their stories of the Mental Health Illnesses they were struggling with daily. I have used the #MHCrisisAngels a couple of times. I know if they had not helped me through my suicidal thoughts, I would not be alive today. Thanks for setting up this important service. Thanks for letting me know about Part 3 of The “me” in Social Media. I look forward to reading it tomorrow. I glad you discovered the MH community on Twitter – it’s been so beneficial for me, and had really helped me connect with other like-minded people. Thanks for sharing. I am thrilled I did and got to neet amazing people and bloggers like you!